This Costume Jacket is an exceptional choice which may never be ignored no matter what; it has been designed in such an amazing way that ignoring it may never be something in question; it has a font with the embossed layout and being combination of white and blue on the bed of leather finished material is always something exciting. 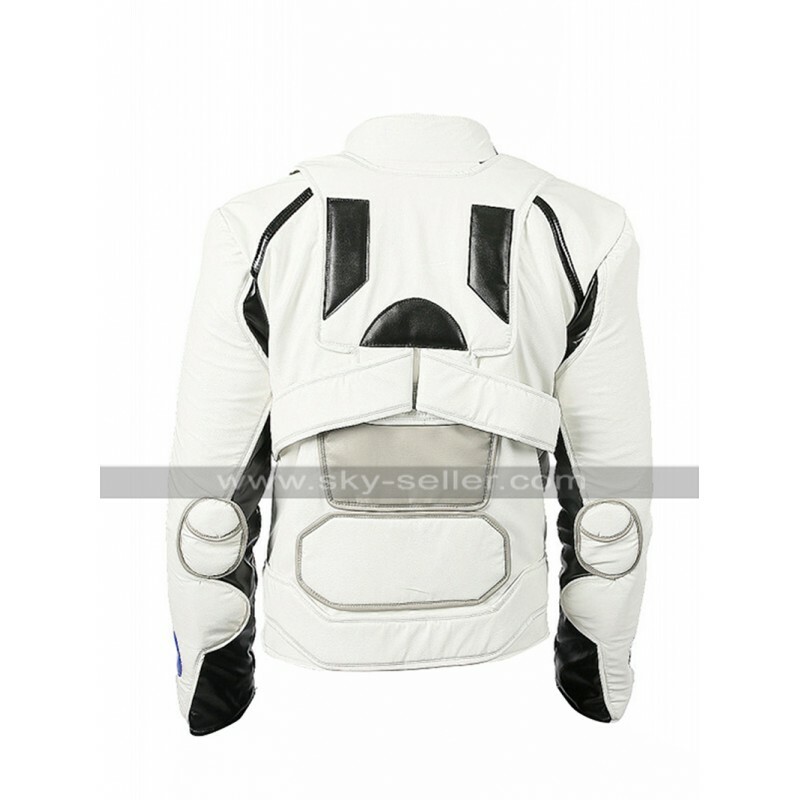 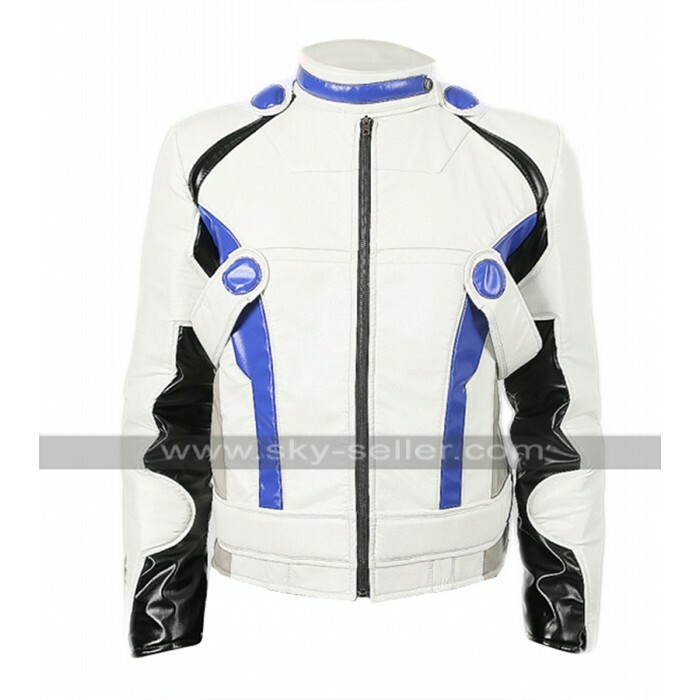 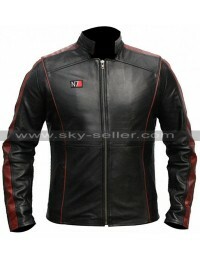 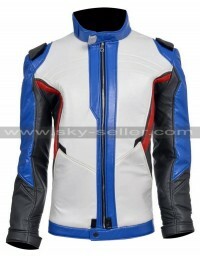 This Mass Effect Jacket has a front with the stylish layout and the inner has been made with the viscose material for sure. 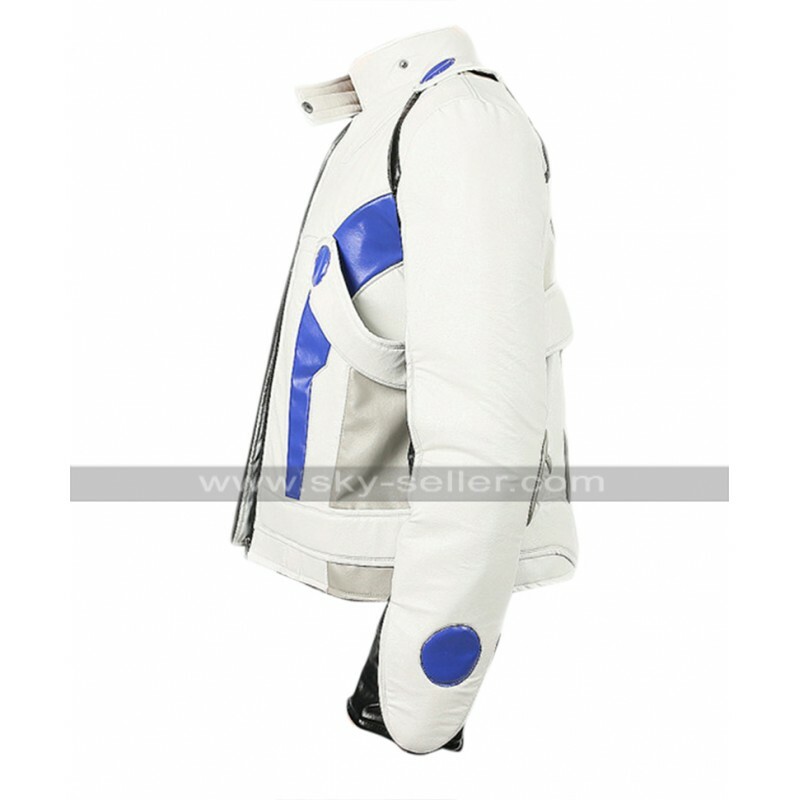 This Liam Kosta Jacket has a length of sleeves in full and the sleeve has been attached with the jacket with the help of a blue colored patch. 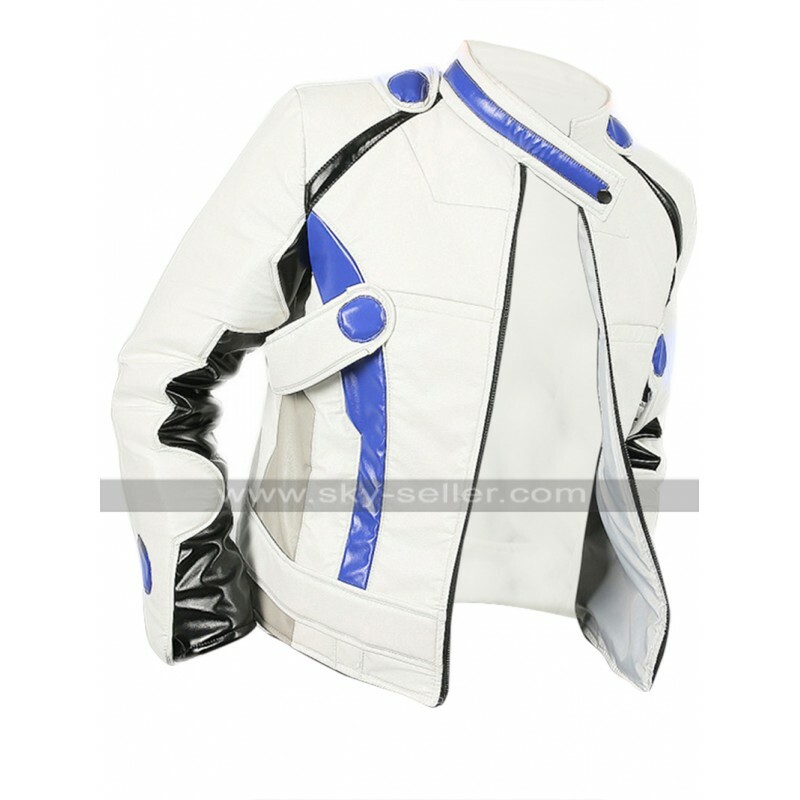 This Mass Effect Andromede Cosplay Jacket has front closure of zip and the collars are rounded and have a closure with the button at the top, this Gaming Jacket also has pockets on the sides which also add a beauty to the finish and styling of this jacket. 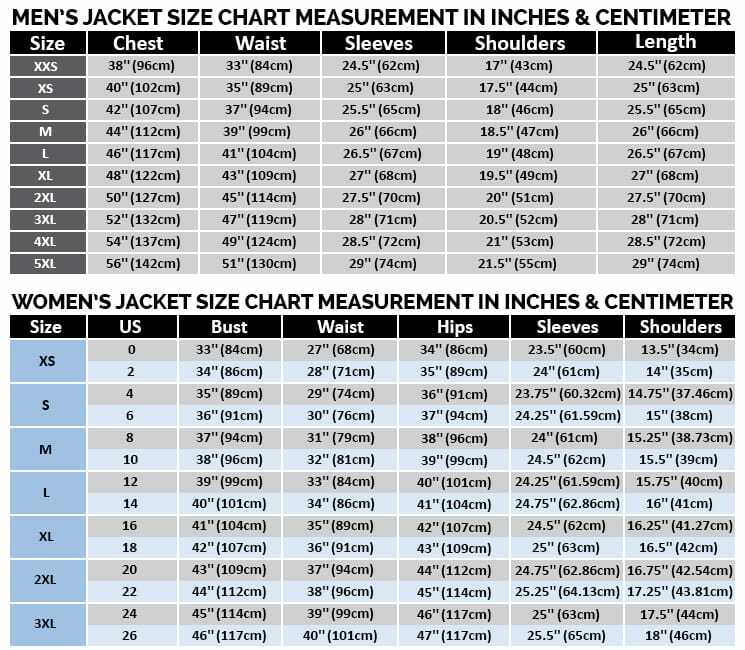 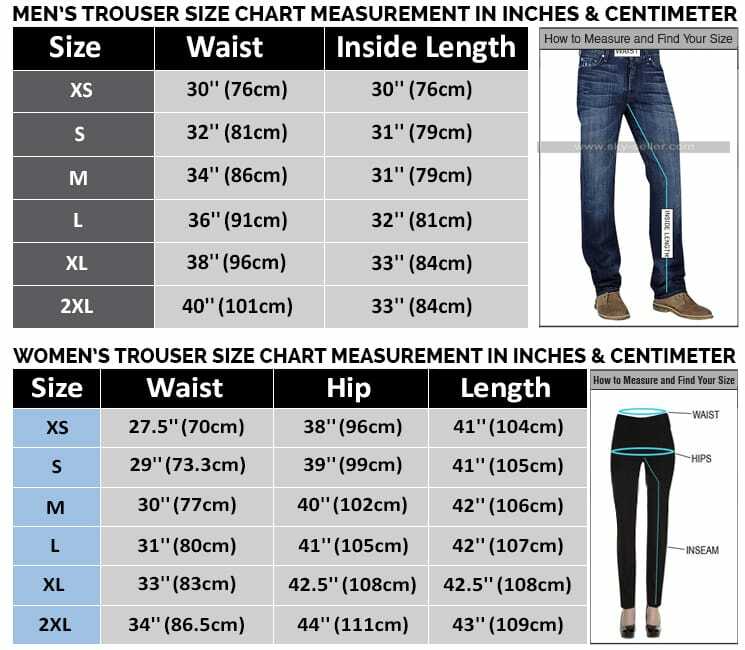 The Jacket may ideally be worn on all kinds of casual occasions and the neat and intricate stitching makes it a perfect choice. 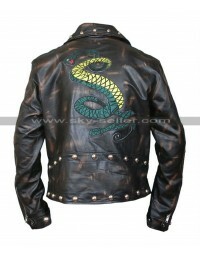 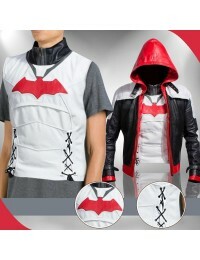 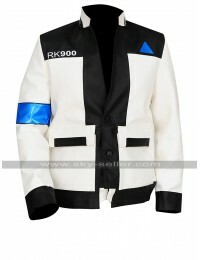 This Game Costume Jacket may be worn on casual instances without a doubt.